Irish AF! 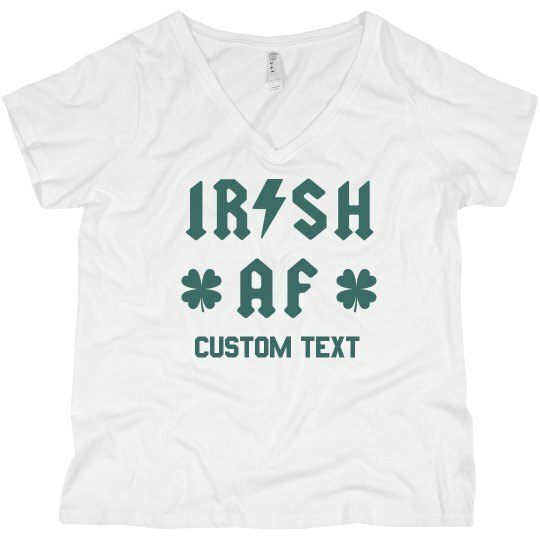 Customize this Irish pride t-shirt to wear while you shamrock the night away this St. Patrick's Day. Add a line of your own customized text to throw in some luck.